On February 3, 2019, The Mercedes-Benz Stadium in Atlanta, Georgia will host Super Bowl LIII for the third time, but a first for the newly-built stadium. Unfortunately, residents and visitors to Georgia won’t be able to bet on the big game, or any game, until Georgia decides what it wants to do with sports betting following the U.S. Supreme Court repeal of PASPA, the federal law preventing states from making their own laws on sports betting. In Georgia, there is currently no pending legislation on the legalization of sports betting and voters in the state would have approve a state constitutional amendment before allowing wagers on sports to be placed. 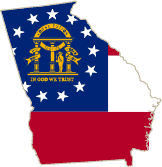 The Georgia gubernatorial election will take place on November 6, 2018 with Republican candidate Brian Kemp and Democratic candidate Stacey Abrams vying to be the new governor. Kemp has stated he is not in favor of sports betting of any kind while Abrams is in favor of legalizing sports betting only if the tax revenue goes directly to the Georgia education system. 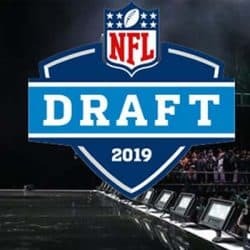 However, residents and visitors can breathe easy when it comes to online sports betting for the Super Bowl, since Georgia has no laws prohibiting the use of legally licensed, offshore online sports books. These online sportsbooks are 100% legal, safe, guarantee payouts on winning bets, and have been reviewed by our staff to ensure there is no shady business. 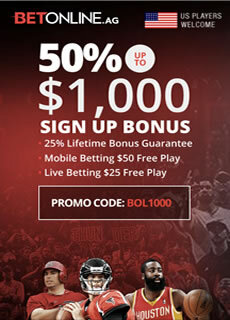 BetOnline has become one of the worlds leading online sportsbook servicing American players today. They welcome players from all 50 states including Georgia, and have one of the biggest signup bonuses available. BetOnline offers competitive paylines and odds, and wagering options that exceed those offered at the Vegas bookmakers. We could write a book about all the things we love about Betonline, but below are a few bullet points and reasons why players love playing at Betonline. Considered a leader in the US online sports betting market for over 20 years. Is Online Sports Betting Legal In Georgia? Georgia does not offer an overwhelmingly friendly atmosphere towards gambling in general. Despite a thriving sports culture in the state, daily fantasy sports contests have specifically been made illegal in Georgia. None of this points to likelihood for state regulated online gambling of any type. Regardless of the state’s legal climate concerning gambling, neither land based or online sports betting would be an option, even if they were interested in it. This is because of the US federal laws that are already in play concerning this form of betting. The Professional and Amateur Sports Protection Act (PASPA) outlawed betting at traditional, land based bookmakers throughout the United States, with the exception of four specific regions, including Nevada, Delaware, Montana and Oregon. Georgia was not included in the exemptions and since PASPA's repeal, they have shown no signs of legalizing domestic sports betting throughout the state. 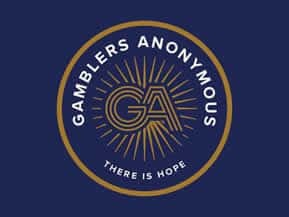 So what alternatives do Georgia gamblers have concerning legal online sports betting? While US federal laws certainly curtail anyone from offering any type of state regulated sportsbook gambling opportunities, these laws do not affect international sportsbooks and their operations. There are a number of legitimately licensed and regulated online sports betting sites that are based outside of the United States. These sportsbooks can legally offer their services to gamblers around the world, including those in Georgia. There are no provisions within the Georgia state gambling laws or the US federal laws that prohibit residents in the Peach State from enjoying betting on sports from licensed online sportsbooks that are operating offshore. You can find a listing of the industry’s most trusted and high quality sportsbooks that are licensed, regulated and that accept customers from Georgia. The state of Georgia is definitely a little on the anti-gambling side, but so too is the federal government. When you think about it, it doesn't make much sense at all for the USA to ban gambling or even strictly regulate it. Doing such is against every single principle of the Constitution and the Bill of Rights. Even still, so many Americans share that hypocritical sense of Puritanism, even in 2015, that the leaders they elect to Congress and state legislature positions are power-hungry morality police who think it's best to tell individual Americans what they can and cannot do with their free time. This has been the case all throughout history; there's always some people who believe they know what's best for you, and they're the people who turn over the freedom of an entire nation to a few leaders. Lo and behold, we end up with the supposed freest nation in history regulating gambling to the point that they end up putting people in prison for the horrific crimes of operating an online poker site. And government has been doing this for a long time. The first big swing against gambling that the feds took was back in the early 1960s with the Federal Wire Act. States had been tough on gambling individually before this point, but the federal government decided that they should have the right, just borne out of thin air, to regulate how all 50 states acted. So, they introduced this act and shut down all wire-based transmissions of monies going toward gambling. As if that wasn't enough, the feds acted again only a short time later with the Bradley Act. This time, they were expressly after sports betting. They sought to define sports betting as an illegal activity. Then, as if those two acts weren't enough, George Bush was struck with a wild hare, because evidently he didn't have enough on his plate, and he signed the Unlawful Internet Gambling Enforcement Act into law in 2006, which basically shut down every US-based gambling site and made Americans pariahs to the world. He's the reason that you find so many websites that tell you they don't accept US players. But try as the federal government might, they simply do not run the entire planet. We all know they wish they could, but they do not. And if a website out there based outside of the US's reach wants to offer you a safe haven to gamble, you have every right to take it as an America. At least until this point, the right to gamble is a right that the government hasn't taken away. They focus their efforts on businesses that accept gambling money. So even with Georgia's strict anti-gambling stance, and America's multiple regulations against it, you can still gamble freely as a Georgian so long as you find a site that will accept your business such as the USA online sportsbooks found on our homepage. Why do people in the Peach State end up betting so much on sports? Sports betting is definitely popular around the entire nation, but Georgians have a special affinity for betting on sports. Perhaps one of the reasons is that the state of Georgia simply has so many different sports to choose from. No matter what type of sport you like, you can root for a home team that's based inside of Georgia. They have a wide array of professional and collegiate teams. During the mid 1990s, before the Yankees took over, it was the Atlanta Braves who were the hottest team around. Chipper Jones, Tom Glavine, Gred Maddox, and the list goes on. The Braves were the biggest team in all of baseball, annual contenders for the World Series. Although they would only win one time during the '90s, in 1995, they won the NL Pennant in 1991, '92, '95, '96, and '99. They were the best team in the National League for a decade, and Georgians don't forget that. Even recently, they've won a couple of division titles and were in the playoffs in '10 and '12. Everyone in Georgia knows that at any year the Braves can easily explode and become World Series champions again. Georgians who love the NBA, and especially sports betters, had a great run last year with the Atlanta Hawks. The Hawks were the #1 seed in the Eastern Conference. And while they lost in the playoffs to the Cavs, led by LeBron James, they still had a great run. 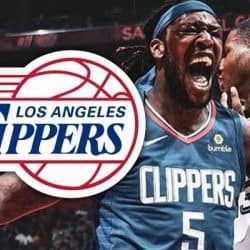 They have a star-studded roster, featuring Jeff Teague, Al Horford, Paul Millsap, and other great players. Their biggest issue has been staying healthy when it's all on the line. A key injury last year took Atlanta from being a dominant team to a mediocre team. If they're able to stay healthy, they might just dominate the Eastern Conference next NBA season. Although they've been up and down the past few seasons, the Atlanta Falcons of the NFL are a constant threat to win their division in the NFC and end up deep into the playoffs. With a high-powered offense featuring Matt "Matty Ice" Ryan, Julio Jones, and Roddy White, this is a team that can explode and put up points in bunches against anyone in the league. Their biggest problem over the past couple of years has been defense. They haven't been able to keep other teams from scoring. However, their defense is looking a lot stronger this year, and their division is looking weaker. The Saints lost their biggest target in Graham, the Panthers are just dysfunctional, and Tampa Bay is breaking in a new rookie QB, who might not amount to much. Atlanta should run away with their division, and that gets them very close to the big one. Georgia also dealt with a few popular hockey teams over the years, like the Flames and the Thrashers. And they also have a North American Soccer League team, the Atlanta Silverbacks. The state is chocked full of different teams to root for, and we haven't even gotten into the collegiate teams yet. The Georgia Bulldogs, who play in the SEC East, are one of the top teams in all of college sports in D1 men's football. And back in the '90s, it was the Georgia Tech Yellowjackets who were tearing things up with their high-powered, big-scoring offense. Georgia has so many popular sports teams that there could be an entire website dedicated solely to what they offer. The city of Atlanta is the mecca of professional sports in Georgia, home the Falcons football team, the Hawks basketball team, and the Braves baseball team with the Braves being the only Atlanta team to win a championship in a major professional sports league, winning the World Series in 1995. The city also hosted the 1996 Summer Olympic Games and estimates put the economic impact of the event at $5.14 billion, allowing Atlanta to improve modern infrastructure over time. The state of Georgia is also home to two Power 5 Conference college football teams, the Georgia Bulldogs (SEC) and the Georgia Teach Yellow Jackets (ACC). Each year, the two teams play the in-state rivalry known simply as “Clean, Ole-Fashioned Hate” and have played each other 112 times since first meeting in 1893. 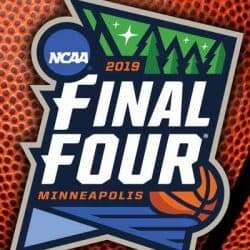 In 2017, the Mercedes-Benz Stadium opened in Atlanta and hosted the 2018 College Football Playoff National Championship and will be the home of Super Bowl LIII on February 3, 2019. Construction broke ground in May 2014 and opened in August 2017, costing an estimated $1.6 billion and features the world’s largest halo video board, a ring centered above the football which is comprised of over 37 million LEDs. In the history of the NFL, no team has ever won the Super Bowl when their city is hosting the game, and this year, the Falcons could potentially rewrite history. After losing to the eventual Super Bowl champion Philadelphia Eagles in the NFC Divisional Playoffs last season, the Falcons come into 2018 with a future that’s hard to predict, which shouldn’t be the case. The Falcons are a very talented team who still have all their best players like WR Julio Jones, RB Devonta Freeman, 2016 MVP QB Matt Ryan, etc., but many sports analysts believe the mentality of this team is permanently shattered after the historic collapse and losing in Super Bowl LI, which saw the Falcons blow a 28-3 lead midway through the 3rd quarter against the Patriots. If the memory of that night wasn’t painful enough, the Falcons must compete in the NFC South, arguably the most competitive division in the NFL with teams like the Saints and Panthers who are also among the favorites to win the Super Bowl. The odds just don’t seem to be in the Falcons favor, which means a team from the host city winning the Super Bowl will likely have to wait another year. If Alabama Head Coach Nick Saban didn’t pull off one of the greatest half-time substitutions and adjustments of all time in the CFP National Championship against Georgia last season then this section would be filled with nothing but praise for the Dawgs, since they would be the defending national champions. But they aren’t. However, what happened in the national championship is honestly the only negative thing Georgia has going right now. The team is still one of the heavy favorites to win the SEC championship and national championship and could possibly play Alabama in both games during the 2018 season. Head Coach Kirby Smart is in his third year in Athens, and the team gets more loaded with another haul of 5-star talent each season. 2018 was his best recruiting class yet, bringing in a total of seven 5-star athletes and 14 4-star athletes rated by 247sports. With Georgia having a better payout than Alabama, it might be wise to bet on the Bulldogs future and hedge the bet if these two teams meet in the national championship, which would be fitting since the Bulldogs play “Between the Hedges” in their home stadium. The Yellow Jackets finished the 2017 season with a 5-6 record, ended the season with a 31-point blowout at home by the rival Bulldogs, and was not invited a bowl game due to not having at least a .500 win-loss record. Head Coach Paul Johnson enters his 11th season walking the sidelines in Atlanta still relying on his flexbone spread option offense, which is a combination of old and new formations used to create 1-on-1 matchups along with multiple uses of misdirection to leave the defense guessing who has the ball. While sounding good on paper, the offense is archaic, and since the advent of the shutgun spread option offense, which gives teams way more potential in the passing game, it has become essentially an offense of the past with no NFL teams and only a handful of college football teams using it. Many football commentators have wondered when the Yellow Jackets will decide to change coaches because top recruits don’t want to play for a school who don’t want to try and attempt at making the most of their talent. Until Johnson is let go, everyone can bet on more of the same when it comes to Georgia Tech’s chances in 2018 and beyond.